Finca Loranque welcomes you to a unique space, which is perfect for meetings. 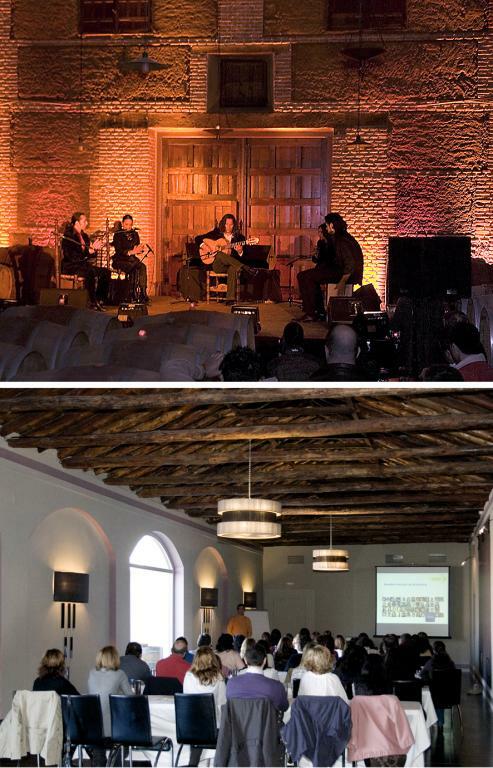 Reunions, conferences and presentations take place inside a 200-year-old building, which is endowed with the personality that can only be provided by an exclusive decorative design, giving the sensation the meeting is being held in a space wrapped in noble woods and elegant aromas. Some of the main companies of our country have placed their confidence in Finca Loranque to celebrate their events: from department meetings to working days, including the presentation of products and incentive visits. Finca Loranque adopts the quality premise, with a different and personalised approach. The professional attention offered by Finca Loranque will enable you to enjoy being in a unique setting that provides you with everything you need to hold youe business meetings, incentives, conferences, work groups, indoor training, training, group dynamics, etc. Renault, Microsoft, Gas Natural, Repsol YPF or Movistar are just some of the important companies which have already placed their trust in the quality of our services and the attractiveness of the personalised oenotouristic offer made by Finca Loranque. We have thought of everything to ensure your business meetings will be a total success: a modern air-conditioning system, the most innovating technical and audiovisual systems on the market, a public address system... Everything that is needed to satisfy the specific requirements of a business meetings of whatever nature. 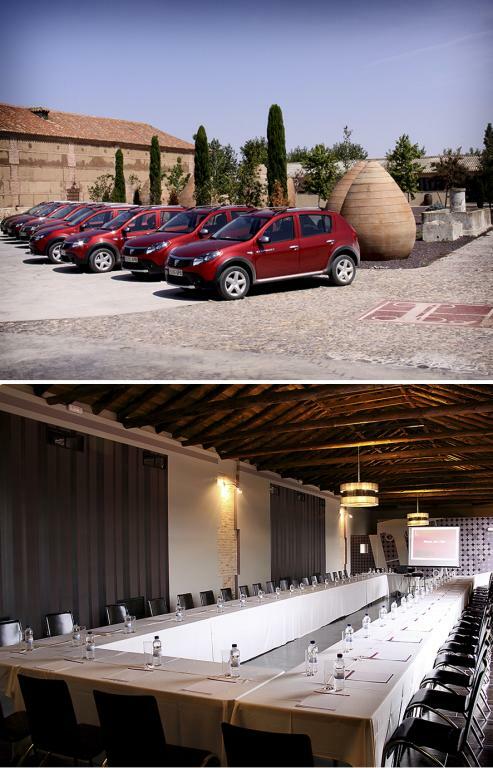 The nearness to Madrid and the charm of a unique winery has caused companies such as British American Tabacco, Airbus, TNT Sofres, Chanel, Sanofi Aventis, Pioneer or Janssen-Cilag, among others, to choose Finca Loranque to celebrate some of their events. We offer you all the charm of a family-run winery where you can organise original business workshops, without having to forsake facilities that are technologically adapted to all your needs. A place where it is a pleasure to work.